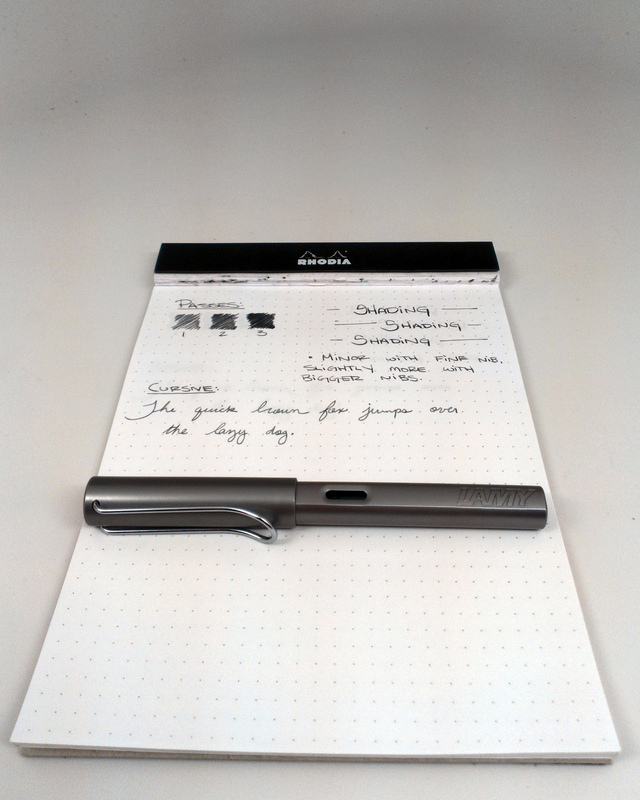 Notes: I liked this grey ink the most out of all the others I’ve tried. 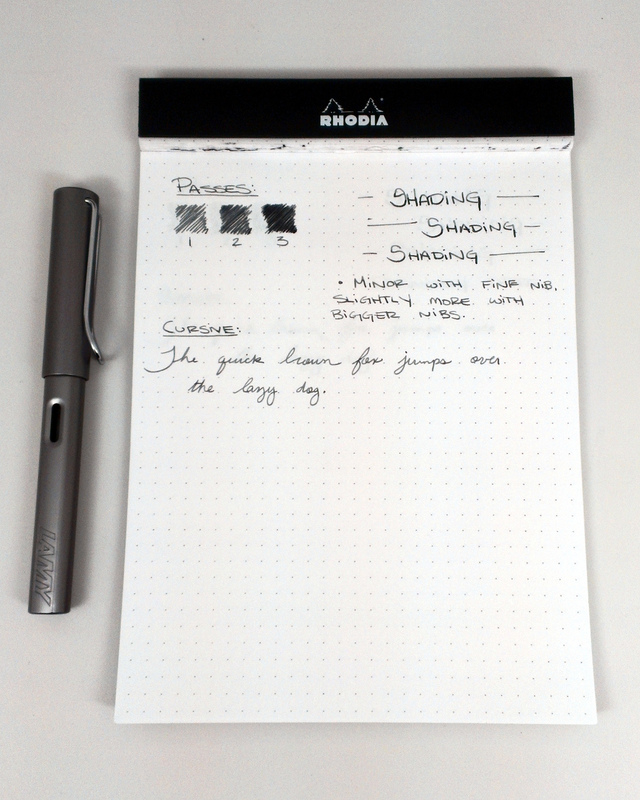 The list of potential bottle-worthy inks included Pilot Iroshizuku Fuyu-Syogun and Kiri-Same, Diamine Graphite, Noodler’s Dark Matter (almost black, but not quite), and Private Reserve Grey Flannel. 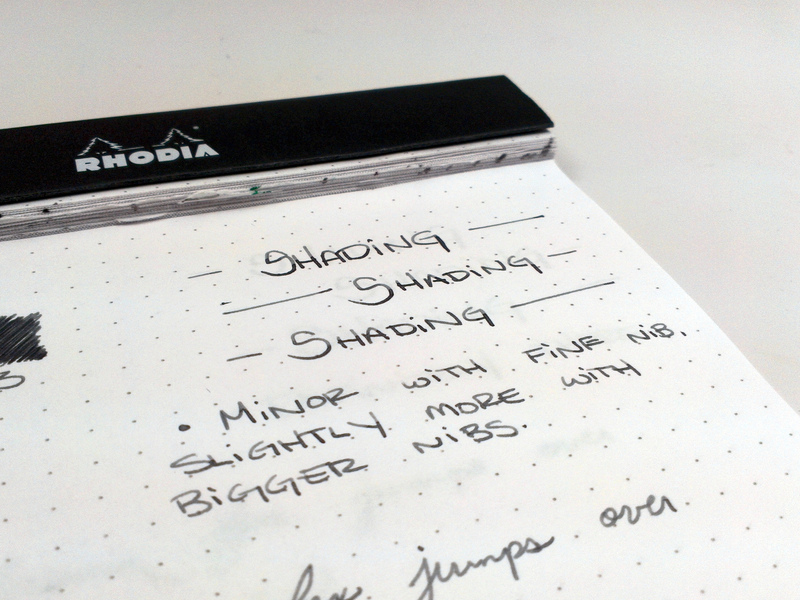 With wider nibs the ink shades a bit more than with the fine nib. 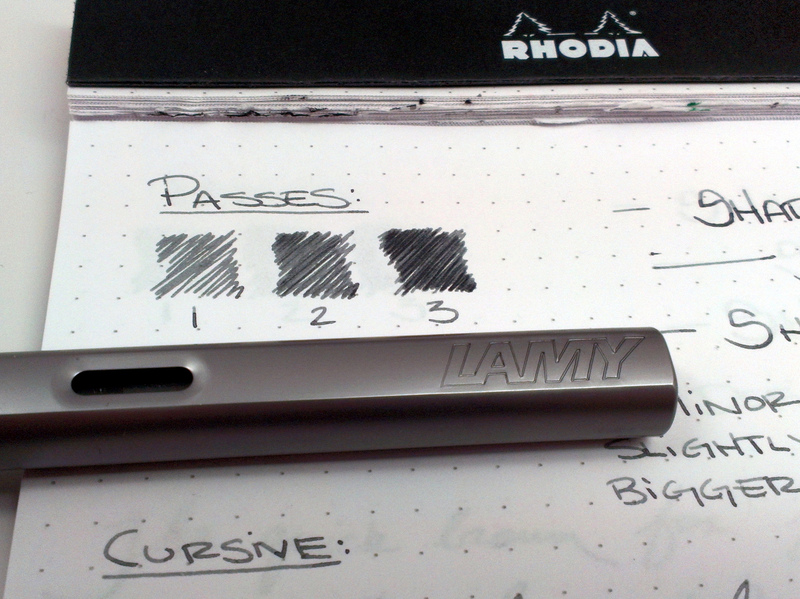 It’s also a perfect match for the Graphite Lamy Al-Star, which is a nice touch. 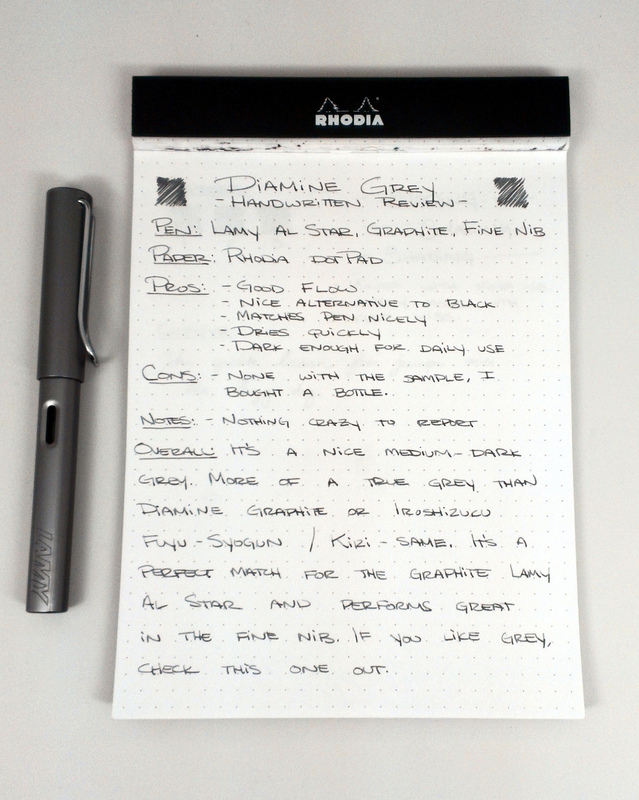 Enjoy the review, and feel free to comment with your thoughts / experience with Diamine Grey. 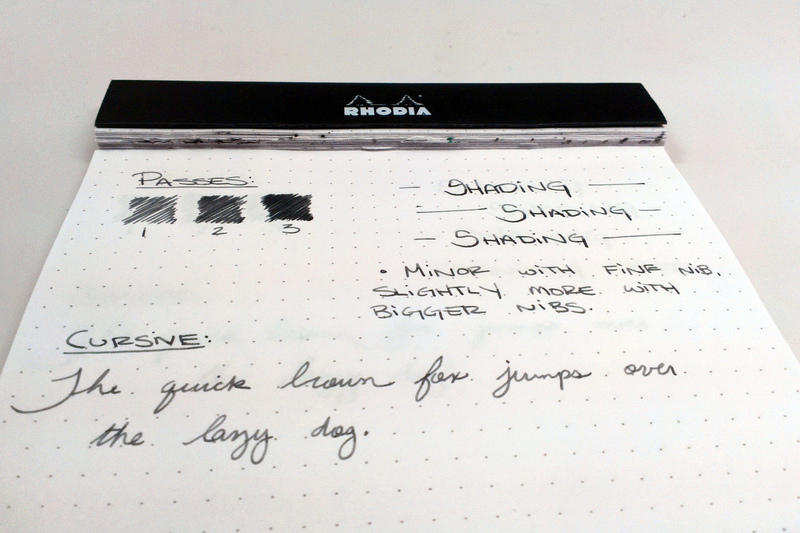 I too delight in the subtlety od Diamine Grey, especially with todays bright, white papers. It also lifts a finger to the ‘Establishment’ who, for no good or valid reason, insist that official forms are completed in black.